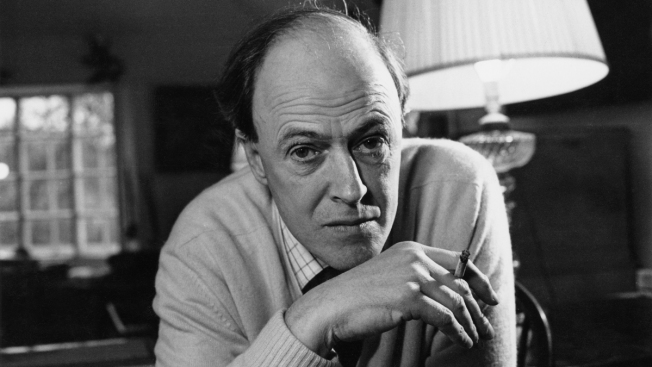 A file photo of British writer Roald Dahl (1916-1990) from 1971. Netflix is pushing further into kids content with a new deal to animate popular Roald Dahl books, the company announced Tuesday. Netflix said it plans to roll out "animated event series and specials" based on books like "Charlie and the Chocolate Factory," "The BFG," "Matilda" and "The Twits." The company will focus primarily on TV series, but has the option to make feature-length movies. "Immersing ourselves in the extraordinary worlds of Roald Dahl stories has been an honor and a massive amount of fun," Netflix's Vice President of Kids and Family Content Melissa Cobb said in a blog post. "We have great creative ambition to reimagine the journeys of so many treasured Dahl characters in fresh, contemporary ways with the highest quality animation and production values." Netflix touts its award-winning original programming like "Stranger Things" and "Black Mirror" as competition in streaming heats up. Hulu, Amazon and Apple are all upping content spends in an effort to claim some of Netflix's market share. Disney's kid-friendly streaming service, Disney+, is set to launch at the end of 2019. Liberty Media’s John Malone on Netflix’s ‘massive lead’ in streaming landscape from CNBC. The full list of Dahl titles under the Netflix agreement also includes "Charlie and the Great Glass Elevator," "George's Marvellous Medicine," "Boy – Tales of Childhood," "Going Solo," "The Enormous Crocodile," "The Giraffe and the Pelly and Me," "Henry Sugar," "Billy and the Minpins," "The Magic Finger," "Esio Trot," "Dirty Beasts" and "Rhyme Stew." Production on the first of the animated series will begin in 2019, Netflix said.